Hi everyone! 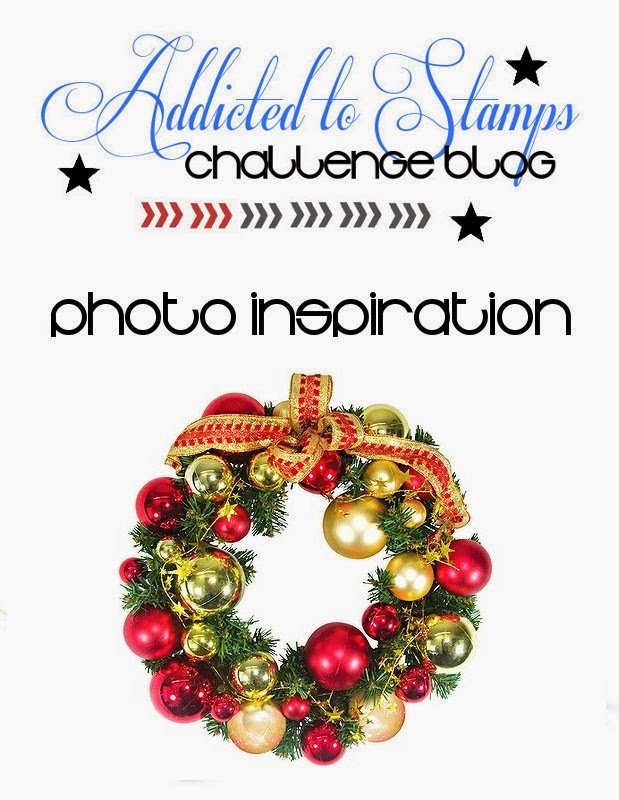 Sadly, this will be my last card for Addicted to Stamps Challenge. I've been so blessed with the opportunity to work with Kylie (the owner) and the rest of the talented DT members. I hope you will stay with me as there's a lot of new stuff coming up in 2015. Such a pretty wreath. I do like the way you've cut a window in the front to see the sentiment inside. Great work. So sorry that you're leaving the team, but you're going to have a busy month - best wishes. See you in blog land. A lovely wreath, showcasing, once again your creativity in thinking outside the box...er, circle! The sentiment is so sweet! I, too, am sad that you're leaving the team, but you're embarking on a new, exciting phase of your life in the next few days. Excitement to the max, I'm sure. 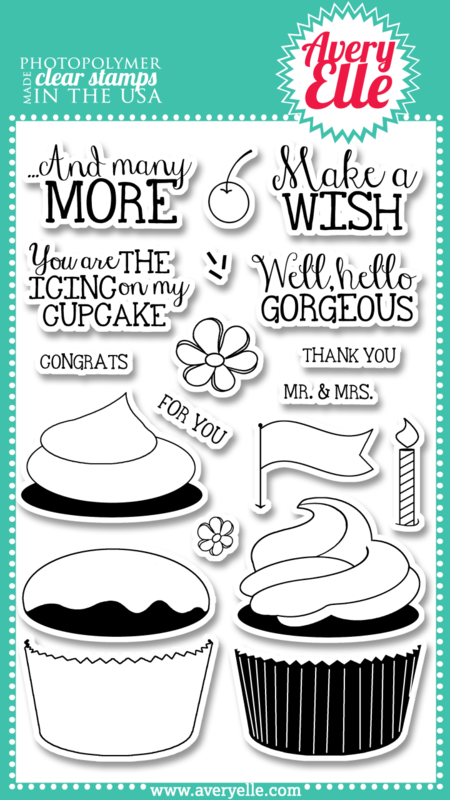 You also 'hinted' at new stuff for 2015, so the news that you'll still be crafting up a storm is fabulous! Gorgeous is right!!! This is absolutely beautiful, Marina! I love the color combo and how you've created your wreath...Beautiful CAS design, too! I will miss having you on the DT, and I wish you all of life's happiness and lots of fun, crafty days ahead! I promise to stop by in the New Year! Take care, sweetie! This is such a great interpretation of the photo, so off the wall and unexpected. You and your quirky designs will be missed, but as one door closes another opens. Fabulous design :) good luck with ur future endeavors ! Hi Marina, this is so delicate and pretty, love your bow and sentiment! I love this -everything about it is stunning! I'll miss being part of the ATSM team with you - you rock! Sweet ,simple, adorable design, Marina! 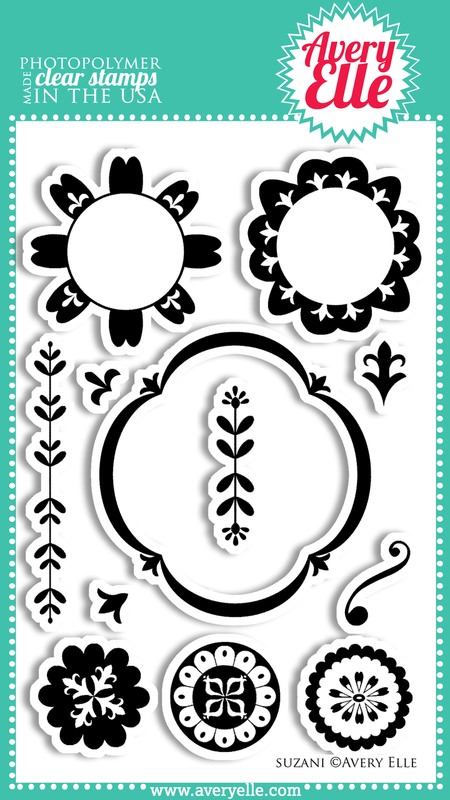 I love those delicate florals you've used to make the gorgeous wreath!